A handsome white cat waits for adoption. 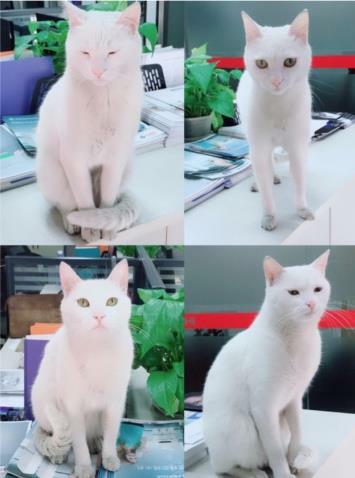 San San is a handsome white cat with hazel eyes. He is quite, friendly and he loves to interact with others. The healthy and docile boy is waiting for a permanent home.